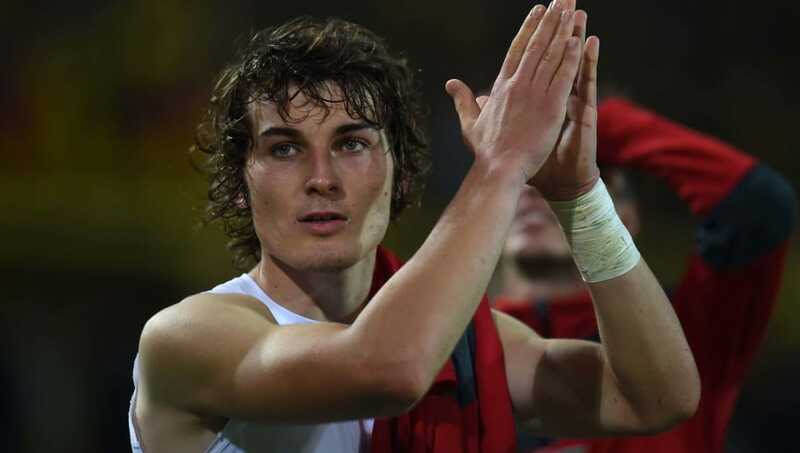 ​​Arsenal summer transfer target Caglar Soyuncu has caused a stir among Arsenal fan Twitter after tweeting a photo of himself stood in front of a private plane. Speculation over the Freiburg midfielder completing his move to the Gunners has become rife from fans, though it is understood there is no official suggestion that the move is complete. The 22-year-old centre back's agent Mustafa Dogru told publication ​Turkish Football that while talks were progressing well, a fee was yet to be agreed. "Sven [Mislintat] is interested in Caglar - there are concrete talks, and all that remains is for a fee to be agreed." Soyuncu has made 50 league appearances for Freiburg since joining the ​Bundesliga club from Turkey in 2016. Since his move to Germany, Soyuncu has attracted the attention of a number of big clubs. According to Dogru, the Turkish international has attracted the interest of several ​Premier League clubs, as well as ​Atletico Madrid and "a few clubs in France, Italy and Germany". Dogru told Turkish Football: "I'm not surprised by the interest -- Caglar is a modern defender, he's mobile, fast, dual-footed, has an excellent passing range. Under new boss Unai Emery, Arsenal have already signed experienced defender Stephan Lichtsteiner on a free transfer. Borussia Dortmund's Greek centre back Sokratis Papastathopoulos is also widely expected to complete a move to the London club, as Emery looks to shore up a defence that was shaky at times last season. Uruguayan midfielder Lucas Torreira and Russian Aleksandr Golovin have also both been linked with moves to the Emirates in what is proving already to be a busy summer for Arsenal.